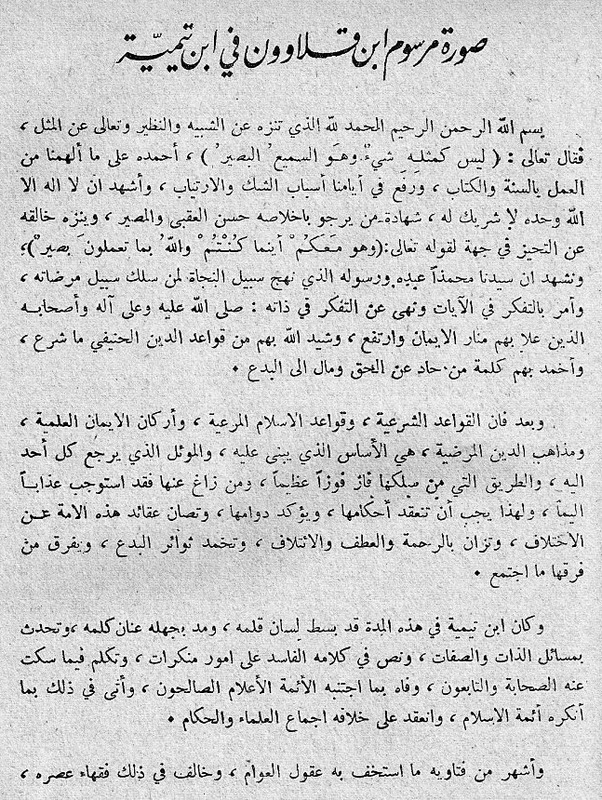 This is a translation of the Edict of the honorable Sultan Nasir al-Dunya wa Deen, Muhammad Ibn Qalawun. Laysa kamithlihi shay, wa huwa Sami’ al-Baseer. Nothing resembles Him; yet He is the one who hears and sees everything. He is with you (with His knowledge) wherever you are, and Allah sees what you do. I testify that Muhammad is his slave and Messenger who clarified the route of safety for whoever followed the path of pleasing Him, and who ordered contemplating about the blessings of Allah and forbade thinking about the Self of Allah. May Allah send prayers and peace upon Prophet Muhammad and may Allah have mercy upon his Companions by whom the banner of Iman rose, and through whom Allah codified the rules of Deen, and by whom Allah extinguished the word of whoever deviated from the Haqq and leaned towards innovations. The Islamic creed, the regarded rules of al-Islam, the Usul al-Din, and the acceptable Madhhabs of this religion are the bases upon which things are built, and the reference to which everyone resorts, and the route that whoever follows will succeed greatly and whoever deviates from is deserving of a painful torture. Therefore, they must be carried out, their permanence considered with harmony, the agitations of innovations extinguished and what gathered of their groups dispersed. 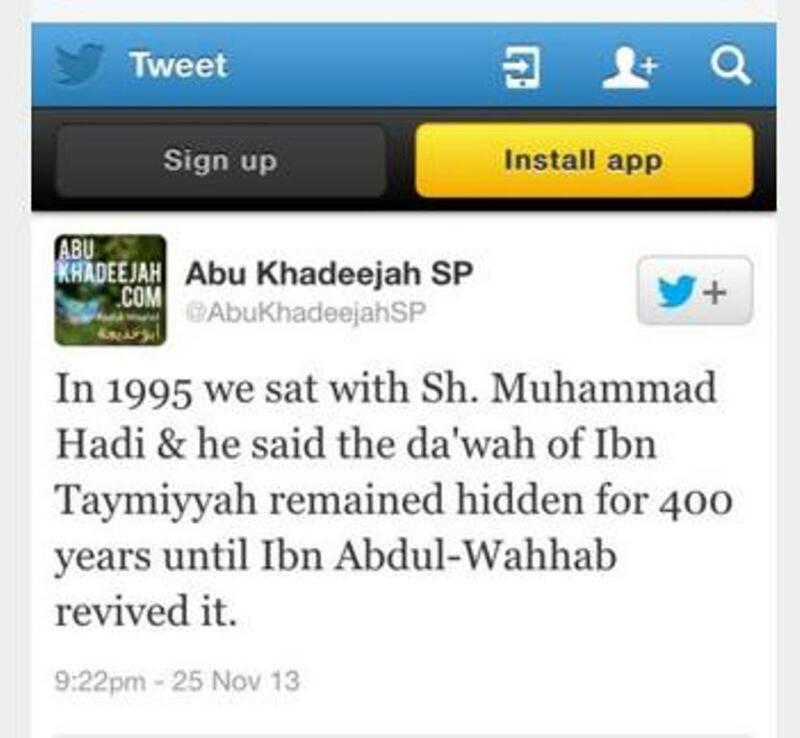 In our time, Ibn Taymiyyah spread his pen, and by his ignorance he extended the reins of his words. He talked about issues of the Self and attributes of Allah, and talked in his invalid words about rejected matters. 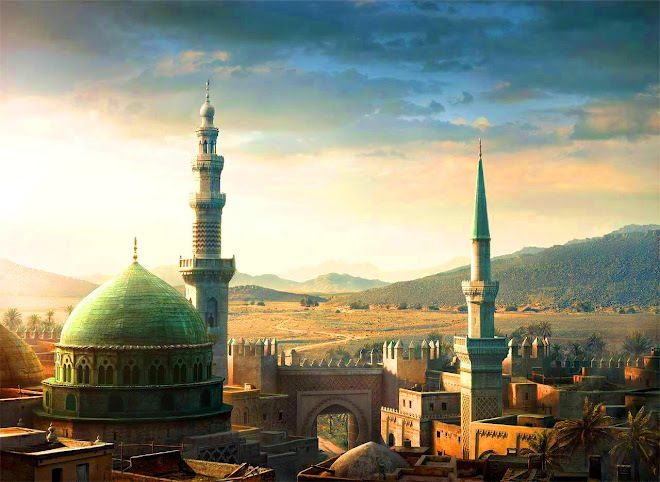 Additionally, he spoke in regards what the sahabah and tabi’un kept silent about, and about what the righteous salaf wrote against and what the a’immah of al-Islam renounced and what deviated from what the Ijma of the a’immah and rulers had determined. 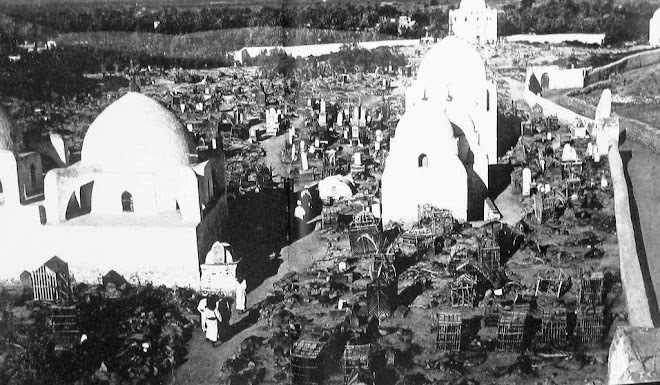 He spread in the regions his fatwa which fooled the minds of the lay people and disagreed with the fuqaha of his time, and the ulama of Levant and Egypt. He sent his letters to every place and gave his fatawa names which have no evidence from what Allah revealed to his Prophet. Glorty to Allah; He is clear of what they describe. He is not known by His creation, yet he knows about them. He is the one who knows the apparent and hidden matters of His creation. You have brought an enormity. When he arrived to us, we approached the people in charge and those of authentication and reporting. The judges of al-Islam, the rulers of the people, the scholars of the religion, and the fuqaha of the Muslims came. An Islamic court was conducted for him in the presence of people and a group of a’immah, and those who have knowledge in hearing and refuting. Their testimony will be written down and they will be asked. It was reported to us that he had been ordered to repent many times. However, he returned (to his deviant beliefs) after he had been prohibited. In the court of al-Hakim al-Aziz al-Maliki, the ruling of the honorable Shari’ah was passed to have Ibn Taymiyyah put in prison and to be prevented from disposing of such matters to the public. 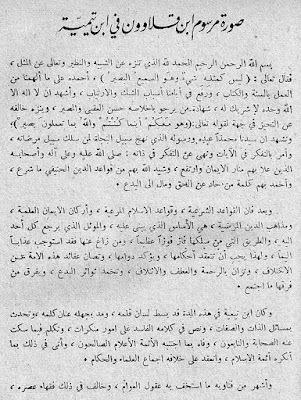 Our edict writes that no one is to follow what the aforementioned person followed and it forbids imitating believing the like or saying it, or listening to his words imitating him in tashbih (likening Allah to His creation), or to utter what he uttered about the direction of spatial highness or to speak about letter or sound, or to speak at leisure about the Self or attribute or utter any tajsim or utter anything about that which is not correct, or to dissent from the opinions of the a’immah, or to be alone of an opinion away from the scholars of the Ummah, or to attribute to Allah a direction or to allude to Him a place and manner. This belief will receive nothing but the sword. Let everyone stop at his limit! Everything before and after this is by the will of Allah. Let the Hanabilah leave his belief and leave the serious, deviant, suspected matters and abide by what Allah ta’ala ordered of holding to the praised madhhabs of the people of Iman. Whoever dissents from the order of Allah has lost the way and does not deserve except torture, and his residence should be the long imprisonment; how bad a residence it is. We decreed that it should be called out in the protected Damascus, the Levant countries and other close and far areas with a serious forbiddance and threat to whoever follows Ibn Taymiyyah in this matter which we have clarified. 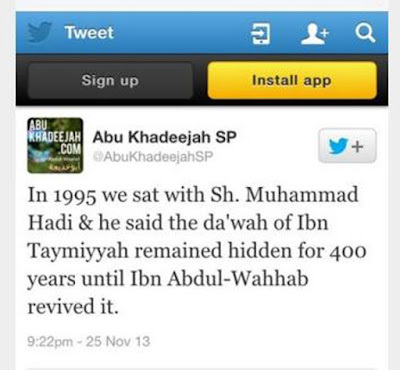 Whoever follows him will be put in a similar place and will be regarded by the Ummah as he was. Those who insist to refuse our order and insist on defending him will be ordered to be dropped from their schools and offices and be put down from their offices and humiliated. They will have no place judging, ruling, in governance, teaching, testimony, imamah, rank or even residence in our countries. We have removed the call of this man from the countries and we have refuted the belief by which he led or almost led astray many people. How many people did he lead astray, who then corrupted others? Let the Islamic reports be affirmed to the Hanabilah to leave that out and let the reports after its affirmation to be carried out by the Maliki judges. Since we heave warned, we have left no excuse we have been fair. Let our edict be read on the minbars to be the best admonisher and restrainer, and the most just forbidder, by the Will of Allah. Praise be to Allah alone, and His prayers and peace be upon His Prophet, and the sahabah of the Prophet. The certified reference is upon the above mentioned honorable writing. It was written on the eighteenth of Ramadan in the year 705H. The Holy Prophet( صلى الله عليه و آله وسلم) said: "From every succeeding generation its upright folk shall carry this knowledge in turn. They shall repeal from it the distortions of the extremists (tahrif al-ghalin), the (mis)interpretations of the ignorant (ta'wil al-jahilin), and the pretenses of the liars (intihal al-mubtilin)." Note! 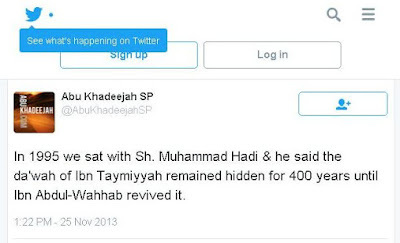 Not Hidden for 400 years!